Leonard Maltin/Plot synopsis: Funny follow-up to the 1991 hit has scheming Cusack invading the Addams household, plotting to marry Fester for his money, then bump him off. Full of hilarious one-liners (delivered with gusto by Julia, as Gomez, and Lloyd, as Fester), but the real star is young Ricci as the stone-faced Wednesday, who finally exacts her revenge for being sent to a summer camp run by a pair of bland and giddy grownups (MacNicol and Baranski). Runs out of steam toward the end. 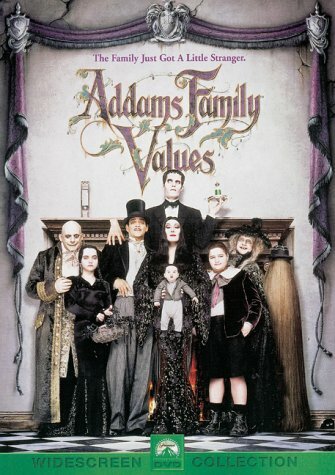 Direct-to-video sequel: ADDAMS FAMILY REUNION.